We at gritcx are loving the proliferation of UK based gravel events this year. Even better, more and more organisers seem to be embracing the festival feel and running their events over a whole weekend. It makes sense when many participants will be travelling a fair distance to attend, and we are suckers for a post (and more often than not, pre) ride party. The Dukes Weekender Cycling Festival is a completely new event, although it’s organisers are well known to us here at gritcx and Singletrack. The main protagonists are Stu Thomson of Cut Media (the makers of those amazing Danny Macaskill films) and a damn fine rider in his own right, Frazer Coupland of No Fuss Events (no strangers to organising a good race north of the border) and Rob Friel – all round riding talent at a national level. The event is receiving support from Rondo bikes (check out our Rachel’s review of the Ruut here). This is where we add those little heart-eyed emojis. The event will be based in Aberfoyle and its surrounds – the stunning Loch Lomond and Trossachs National Park. We’ll admit that in the past we’ve been guilty of gunning past the area on our way to the Highlands and Cairngorms, or not quite making it that far north after being lured in by the Tweed Valley and Scottish Borders. The Dukes Weekender looks like the opportunity to correct that. It will be held on the weekend of September 8th/9th and includes two major events: a 60km ‘Gravel & Trail Enduro’ and a Road Hillclimb on the iconic Dukes Pass. The events will be available as individual competitions or competed as a package with the grand prize of the ‘Duke and Duchess’ being crowned of the fastest times across both events. We are booking our places as we speak. The Enduro will see this latest gravel trend in cycling come to the beautiful backdrop of Aberfoyle and the surrounding Lochs and Glens. This social orientated event will see competitors take a stunning 60km ride along Loch shorelines and in the mountains of the Trossachs. 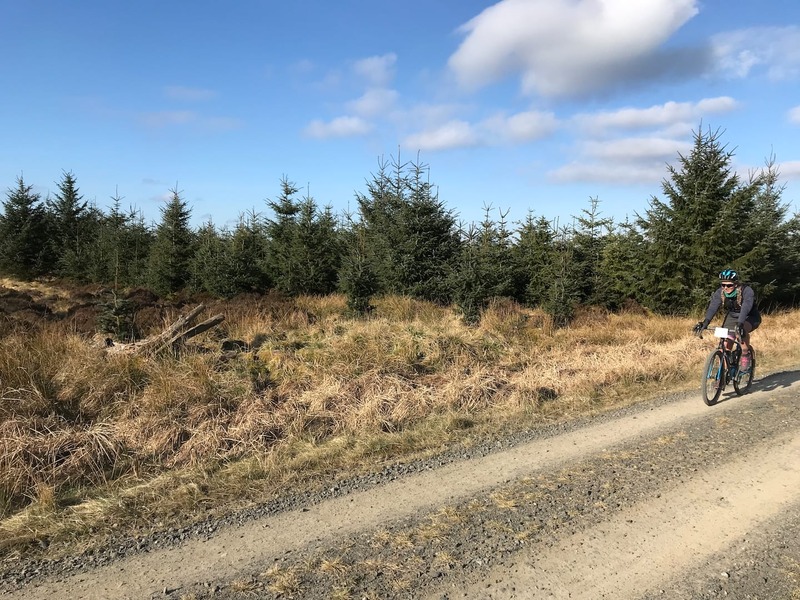 Whilst en-route riders will compete on 5 timed stages, racing against the clock on stages ranging from 3-10 minutes in length on Scotland’s finest gravel and cycle trail riding with the winner being the competitor with the lowest cumulative time on the stages. Gnnnr. Take us there now! The Dukes Weekender will also include a Hill Climb event on one of the country’s most iconic roads; the Dukes Pass. This event follows the winding scenic climb of 1.9km up 145m elevation and will be hosted on the evening of Saturday 8th September. This will undoubtedly prove to be an amazing spectacle for both riders and spectators. Alongside the ‘big ticket’ stuff, Sunday morning will also see ‘Mini Dukes’, a small 10km enduro for the 8-14 year old to get involved in the action, as well as other supporting family based activities and a film night. Mountains, lochs, bikes. The other holy trinity. More details about the event will be released in the coming weeks and months. For more information and be the first to know when entries go live please visit the Dukes Weekender website.